The Next Generation of Science Standards (NGSS) requires teachers to incorporate engineering principles into their course curriculum, even if they are not professionally trained on the subject. 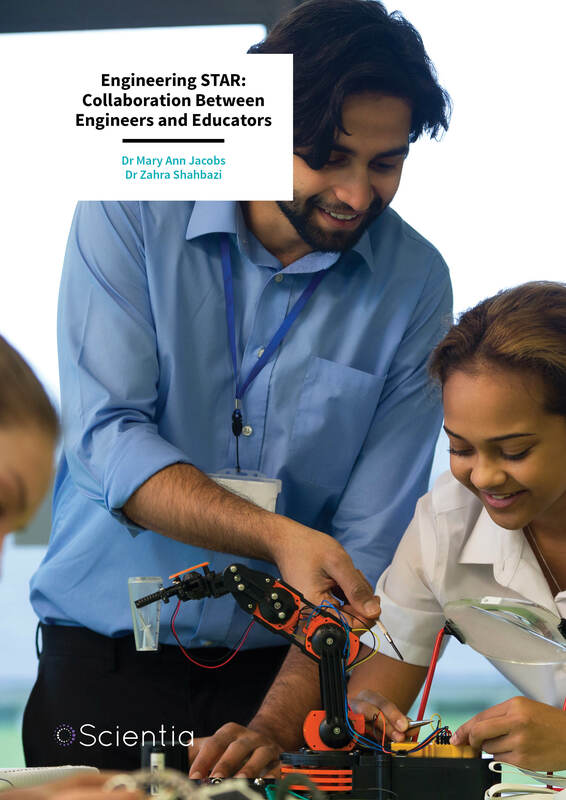 Dr Mary Ann Jacobs and Dr Zahra Shahbazi have developed a programme at Manhattan College titled Engineering STAR: Scholars Training and Retaining. This programme promotes collaboration between engineers and educators, to ensure that science, technology, and math teachers are adequately prepared to teach engineering topics. The technology sector is expanding rapidly, increasing the demand for engineers and scientifically trained professionals. 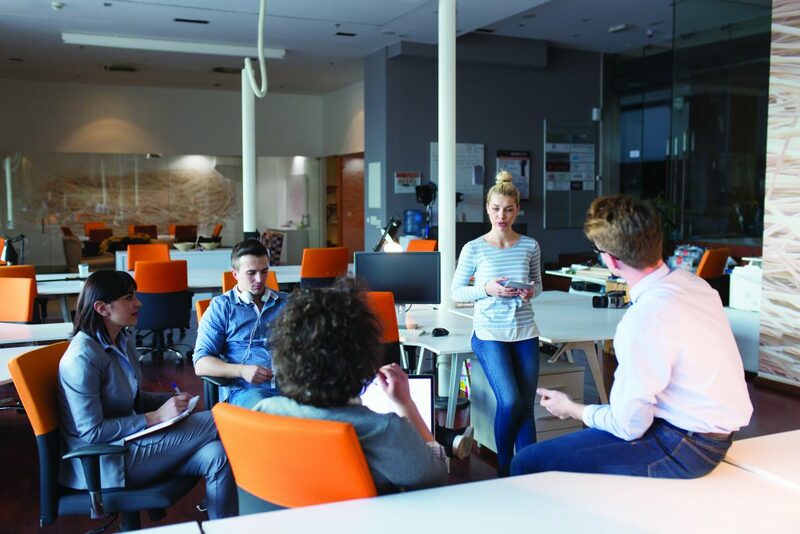 Policy makers and educators have thus been trying to develop new course curricula and academic programmes, to ensure that younger generations are well-equipped to join the workforce of the future. A teacher’s learning journey should be an on-going process, with educators prepared to meet the needs of a continuously evolving classroom. However, around one third of math and science teachers in the US have never been trained on the content areas they cover in class. Roughly 30% of chemistry and physics teachers are not trained to teach these subjects and a quarter of math teachers have never attained math degrees. The Next Generation of Science Standards (NGSS) requires science, technology, engineering, and maths (STEM) teachers in the US to incorporate engineering topics into their course curriculum. Yet, only a few educators with a degree in engineering transition to school classrooms and most teachers have not been trained to educate students on engineering-related topics. Ensuring that educators are well-prepared to introduce engineering concepts to students is hence of key importance, in order to provide learners with the skills, knowledge, and insight necessary to pursue further studies or careers in engineering. The Engineering STAR Scholars Training and Retaining project, funded by the National Science Foundation (NSF), is specifically aimed at preparing K-12 grade school teachers to educate students in engineering. The STAR Professional Development programme, a component of Manhattan College Engineering Scholars Training and Retention (STAR), was developed by a group of professors at Manhattan College, led by Dr Zahra Shahbazi and Dr Mary Ann Jacobs. The STAR Center provides a way for elementary, middle and high school teachers to delve into engineering education, through a series of mini-workshops and group activities led by college engineering professors. The STAR project explores ways to promote engineering education for three distinct groups of learners – engineers and engineering students, elementary, middle or high school students, and college students pursuing a degree that will allow them to teach in K-12 schools. The project’s goal is to train STEM educators on how to teach engineering to younger students, by providing them with the opportunity to be trained and collaborate with qualified engineering professors. The STAR Center additionally offers three newly developed academic programmes – a minor in education for engineering students, a certificate in engineering education for STEM majors pursuing a teaching qualification, and a post-baccalaureate certificate in engineering education for engineering graduates. The NSF-funded project provides professional development opportunities for STEM educators and trains selected groups of university students on how to deliver hands-on workshops to underrepresented student groups in local schools, encouraging the latter to pursue future studies in STEM-related fields. The Professional Development programme at Manhattan College included three full-day workshops, during which teachers worked collaboratively with engineering professors. The educators and engineers formed a partnership to create effective and dynamic lesson plans, in order to promote inquiry, problem solving skills, and hands-on activities in classrooms in engineering topics. After the workshops, the Professional Development programme continued with the development of lesson plans, which are ultimately shared through the STAR website. The engineering professors assist and guide educators on how to best apply their newly devised lesson plan in the classroom. Another aspect of the STAR project is the Engineering Ambassadors programme, a collaboration between undergraduate students and faculty members aimed at introducing K-12 grade students to STEM-related occupations. Engineering and education undergraduates are mentored by faculty members in designing lesson plans that introduce younger students to the field of engineering and thus encouraging them to pursue further studies and careers in this area. The undergraduates participate in workshops that assist them in developing skills in public speaking, teaching techniques, and collaborative work skills. The Engineering Ambassadors practice their developed lesson plans to prepare for visits to local K-12 schools. During the visits to these schools, which are mainly financially disadvantaged schools that serve underrepresented minority students, the Ambassadors present to the students an overview of engineering and provide at least one hands-on activity to engage students in an engineering activity. The STAR Professional Development programme was first introduced in 2015, with approximately 18 participating educators every year. The teachers were recruited from 40 schools associated with the College through the School of Engineering or the School of Education. To evaluate the effectiveness of the Professional Development programme, participating teachers and engineering professors were asked to complete a survey, which asked them to rate the workshops and describe what they felt were the most satisfactory and unsatisfactory aspects. The responses collected were positive, with most teachers highlighting that they appreciated working with engineering professors in small groups, as this allowed them to ask questions, consider real-life applications, and communicate with colleagues about teaching engineering concepts. Many teachers also reported enjoying hands-on experiments and keynote speakers’ suggestions of how to best incorporate engineering and STEM-related topics into their course curriculum. Some mentioned that they would have enjoyed more time working with the engineering professors. Overall, participating educators praised the programme, saying that it had increased their confidence in teaching engineering topics and provided excellent ideas on how to teach difficult concepts. The engineering professors who participated in the STAR programme said they largely appreciated communicating with the teachers and learning about the challenges they face in incorporating challenging STEM-related topics in their classes. The feedback collected highlighted ways in which the programme could be improved – for instance by asking teachers to select topics covered in the workshops or by proposing ways for them to touch on particular areas with more affordable materials, should their school have a limited budget. To evaluate the Engineering Ambassadors programme, the STAR organisers collected feedback from participating college students, as well as from middle and high school students during school visits. The students’ responses were generally positive, with most younger students saying that the ambassadors’ visit had helped them to understand the work of engineers and had taught them new ideas. The undergraduate ambassadors felt that the programme had enhanced their communication skills and creative thinking, while also teaching them the importance of introducing engineering to younger generations. The growing need for qualified engineers is placing greater pressure on policy makers and educators to develop effective academic programmes that introduce students to engineering from an earlier age. The new engineering content requirements included in the Next Generation of Science Standards (NGSS) highlight the need to train teachers on how to best teach engineering to their students. Whether by introducing engineering-specific courses or by incorporating engineering concepts within other STEM-related subjects, many schools in the US are trying to find ways to introduce students to this increasingly important field. Initiatives such as the Engineering STAR Project at Manhattan College are extremely valuable, as they could help teachers to meet the evolving needs of their classroom, ensuring that they are adequately prepared to teach engineering concepts. Mary Ann Jacobs, is an Associate Professor in the School of Education at Manhattan College, Riverdale, NY. 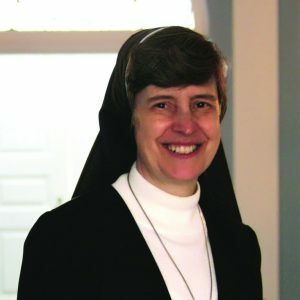 She earned a BA degree in teacher education from Felician College, a MS degree in educational administration from Manhattan College and an EdD in education leadership from St Mary’s University of Minnesota. She prepares secondary teacher candidates in all content areas through her courses in secondary pedagogy. Her areas of interest include STEM education, brain compatible strategies and action research in the classroom. 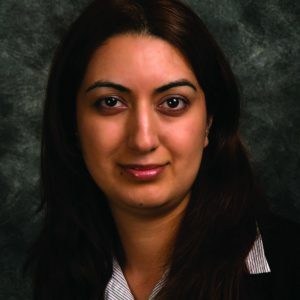 Zahra Shahbazi is as an Associate Professor of Mechanical Engineering at Manhattan College. She earned a BS degree from the University of Tehran in Mechanical Engineering, an MS from Amir Kabir University of Technology in Biomedical Engineering and a PhD degree from the University of Connecticut in Mechanical Engineering. She has also received a certificate in college instruction from the University of Connecticut. She has conducted extensive research on computational modelling of protein molecules, additive manufacturing and engineering education. In 2014, she received two National Science Foundation awards from the Robert Noyce Teacher Scholarship and Scholarship in STEM programs.